Why do you need #calcium? More than 99 percent of total body calcium is found in the teeth and bones. The remainder is present in the blood, extracellular fluid, muscle and other tissues, where it helps to mediate vascular contraction and vasodilation, muscle contraction, nerve transmission and glandular secretion. What happens if you dont get enough? Inadequate calcium can result in bone deformities, muscle cramps, high blood pressure and osteoporosis, a disease characterized by fragile bones and increased risk of bone fractures. The body will take calcium from bone to maintain the required level in the blood. It is estimated that more than 25 million adults in the United States have, or are at risk of developing, osteoporosis. Whats the problem with #dairy and calcium? While dairy is an excellent source of calcium and protein, it can also be a source of excess calories and fat, primarily saturated fat. Even low-fat cheese should probably be considered a splurge food. According to the nonprofit Center for Science in the Public Interest, 1 cup of whole milk (cheese is made from milk) has 5 grams of artery-clogging saturated fat, the same amount found in one hot dog, five strips of bacon, a Snickers candy bar or a fast-food hamburger, and as many calories as a 12-ounce can of soda. Finally, a recent article in Nature Medicine (see: http://www.nature.com/nm/journal/vaop/ncurrent/full/nm.3145.html) has found a link between l-carnitine, a nutrient found in red meat and milk products, and an increased risk of heart disease. What about non-dairy sources of calcium? According to Rebecca Solomon, M.S., R.D., Clinical Nutrition Coordinator, Mount Sinai Hospital, New York City, Generally, calcium from animal sources (such as dairy) is best absorbed, whereas that from foods high in oxalic acid (such as spinach, sweet potatoes, rhubarb, walnuts, celery, okra and beans) or phytic acid a phosphorus compound found in unleavened bread, raw beans, seeds and nuts is typically not well absorbed. Oxalic acid binds calcium within plant foods and makes it unavailable for absorption in the body. According to a briefing paper from the British Nutrition Foundation, The bioavailability of calcium from milk and milk products is in the region of 30% compared to 5% from spinach. Spinach, although containing a relatively large amount of calcium, is not considered bioavailable. Soybeans and products are a notable exception: They have oxalates and phytates, yet provide a bioavailable source of calcium. 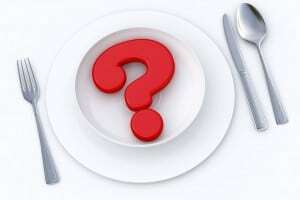 What are some other dietary behaviors that affect calcium absorption? Sodium: Sodium intake increases urinary excretion of calcium in addition to increasing risk of high blood pressure. According to research reported in the American Journal of Clinical Nutrition (http://ajcn.nutrition.org/content/70/3/543s.full): Urinary calcium losses account for 50% of the variability in calcium retention. Of the nutritional factors thought to influence urinary calcium losses (protein, caffeine, and sodium intake), sodium appears to be the most important factor. 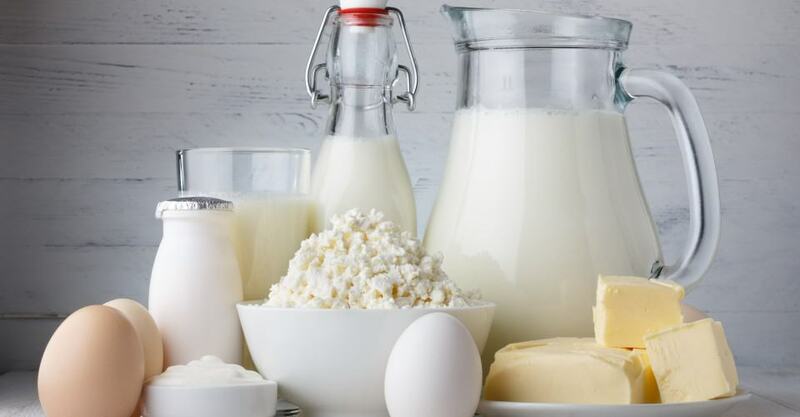 Protein: High protein intake increases calcium excretion, but recent research suggests that it also increases intestinal calcium absorption, so whole-body calcium retention remains essentially unchanged, says Deb Askine, R.D., L.D.N., a nutritionist at Stella Maris of Mercy Medical Center in Baltimore. Caffeine: According to the National Institutes of #Health, Office of Dietary Supplements: This stimulant in coffee and tea can modestly increase calcium excretion and reduce absorption. One cup of regular brewed coffee, for example, causes a loss of only 23 mg of calcium. Moderate caffeine consumption (1 cup of coffee or 2 cups of tea per day) in young women has no negative effects on bone. Alcohol: According to the National Institutes of Health, Office of Dietary Supplements: Alcohol intake can affect calcium status by reducing its absorption and by inhibiting enzymes in the liver that help convert vitamin D to its active form. However, the amount of alcohol required to affect calcium status and whether moderate alcohol consumption is helpful or harmful to bone is unknown. Fruit and vegetables: According to the National Institutes of Health, Office of Dietary Supplements: Metabolic acids produced by diets high in protein and cereal grains increase calcium excretion. Fruits and vegetables, when metabolized, shift the acid/base balance of the body towards the alkaline by producing bicarbonate, which reduces calcium excretion. However, it is unclear if consuming more fruits and vegetables affects bone mineral density. Tannins: These are acidic compounds that inhibit the absorption of calcium, says Solomon. The most common sources of tannins are tea and red wine. Phosphorus: According to the National Institutes of Health, Office of Dietary Supplements: The effect of this mineral on calcium excretion is minimal. Several observational studies suggest that consumption of carbonated soft drinks with high levels of phosphate is associated with reduced bone mass and increased fracture risk. However, the effect is probably due to replacing milk with soda rather than the phosphorus itself. What are some common drugs that cause calcium loss that you should be aware of? According to Mount Sinais Solomon: Glucocorticoids [such as prednisone] and lithium have both been shown to cause bone loss or osteopenia. Chronic anticonvulsant drug use can lower bone mineral density, as can medroxyprogesterone, heparin and thyroxine. Both aluminum- and magnesium-containing antacids increase urinary calcium excretion. Mineral oil and stimulant laxatives decrease calcium absorption as well, says Askine. What about vitamin D and calcium? The Recommended Dietary Allowances (RDAs) for Vitamin D are 600 IU for those 19 70 years old and 800 IUs for 71 years old or more. Vitamin D is critical for strong bones because it’s a key regulator of calcium metabolism in our bodies, says Karen Ansel, MS, RD, Spokesperson for the Academy of Nutrition and Dietetics. And according to the National Institutes of Health, Office of Dietary Supplements: Vitamin D promotes calcium absorption in the gut and maintains adequate serum calcium and phosphate concentrations to enable normal mineralization of bone and to prevent hypocalcemic tetany [muscular spasms caused by low calcium in blood]. It is also needed for bone growth and bone remodeling by osteoblasts and osteoclasts. Vitamin D-rich foods include: egg yolks, saltwater fish, liver and fortified milk. We also synthesize vitamin D when our bodies are exposed to sunlight. It has been suggested by some vitamin D researchers that approximately five to 30 minutes of sun exposure between 10 a.m. and 3 p.m. at least twice a week to the face, arms, legs or back without sunscreen usually leads to sufficient vitamin D synthesis. However, there are skin cancer risks associated with unprotected sunlight exposure to skin, so moderation is encouraged, as well as regular use of sunscreen, says Solmon.